Key Difference: TAKS was the standardized test administered in Texas schools for grades 3-8 and grades 9-11 in order to assess students' reading, writing, math, science, and social studies skills. From 2012 to 2014, STAAR has replaced TAKS as the state’s standardized test. Most states in the United States have state standardized tests that are administered in the state’s public schools. The TAKS are a series of standardized tests administered in the state of Texas. It stands for Texas Assessment of Knowledge and Skills. 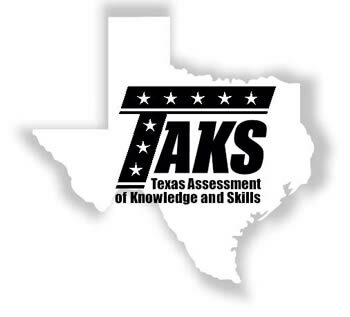 TAKS were administered in grades 3-8 and grades 9-11. The primary objective of the test was to gauge the students' attainment of reading, writing, math, science, and social studies skills as required under Texas education standards. The tests were administered only in the public school sector, and students being home-schooled or attending private schools were not required to take them. However, since 2012 the TAKS are in the process of being phased out. By 2015, TAKS will be completely phased out and replaced by STAAR, which stands for State of Texas Assessments of Academic Readiness. 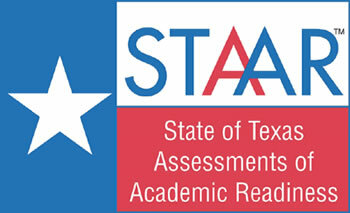 STAAR was introduced in accordance to Texas Senate Bill 1031. As per the law, only students in grades 3-8 will be required to take the new standardized test, grades 9-11 will take end of course assessments, instead of general "core subject" tests. Schools who receive funds from the state of Texas are required to enforce these tests among students who attend the schools. Any private school, charter school, or homeschooling that does not receive monetary support from Texas is not required to take the STAAR test, and as of May 2012 can only take the TAKS test via ordering from Pearson. Pearson Educational Measurement with close supervision by the Texas Education Agency. Designed to provide information about student readiness for the next grade level or course, and ultimately for college and career. Increased the rigor of items by assessing skills at a greater depth and level of cognitive complexity. Increased the total number of test items for most grades and subjects.